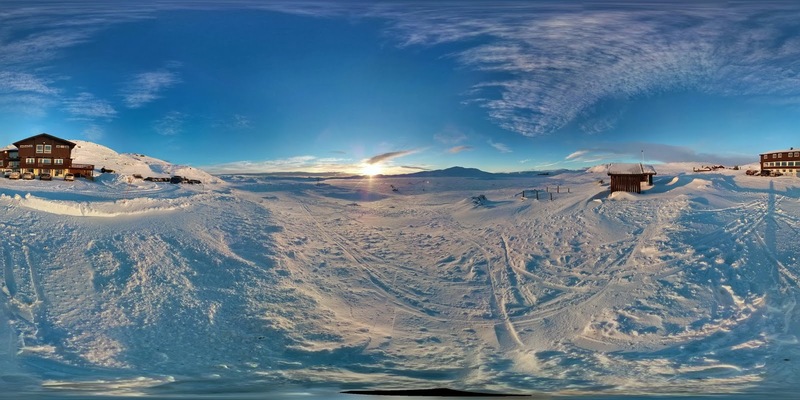 Ever wanted to create those fancy-looking 360° panoramas? If you mix a mobile phone with three.js and some knowledge about (map) projections, it's quite easy. I love travelling, especially to mountainous areas of our planet. Taking photos of vast landscapes can be challenging. This drew my interest in spherical panoramas, photographs that captures everything around you - up, down and all around - 360 x 180 degrees. Google calls it a photo sphere, and if you own a mobile phone with Android 4.2 or higher, you can easily create one yourself. I captured this winter scene with my phone a few days ago. But what if you want to get rid of the Google wrapping and show your panorama in your own viewer? Let's try to do it with three.js. This is called an equirectangular photograph, which will be entirely seamless when wrapped around a sphere. It has the same projection as most of the world maps you download on the web. You'll find several funny-looking equirectangular photographs on Flickr. You simply create a mesh of a geometric sphere and a material containing your image as a texture. I'm using the orbit controls to rotate the camera and allow the user to look around inside the sphere. Feel free to improve it on GitHub. Hesthovdstølen shielding at 1155 m.
Cool! How does it handle tiling? 1. Downloaded the github zip. 3. Opened gaustatoppen.html in Chome with same black screen result. There's probably some super simple step I'm missing just because of my own ignorance with these systems. Any help you can offer is very much appreciated, and I'm a great researcher so if you just want to point me in the right direction that's perfectly fine too! As and experiment, I just saved your fullscreen photosphere page and found it also gave me a black screen. Maybe these things cannot be run locally? I'm going to throw this up on a server and find out. It cannot be run locally because images cannot be loaded into the webGL scene (blocked by X-Origin policy / tainted canvas). Locally different files act like they are from completely different domains, even if in same folder. It is a way to get the orientation of what I see? Something like north arrow. How do you reverse the controls? I would like to kindly ask you for advice / code modification. On a small project for friends of the theater (http://indie2014foto.cebreus.eu/) have to displaying photos by Colorbox. I need your great feature to include in the Colorbox. Classic photo identification and a spherical can be done simply on the side of PHP by adding the required class. 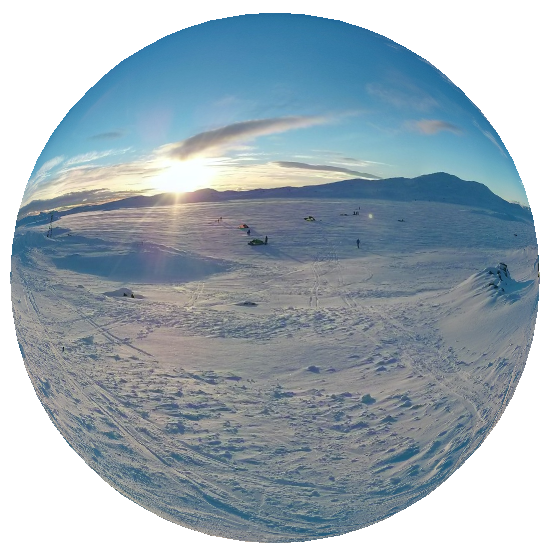 how can I export a 360 degree frame from THREE.JS scene to be viewable as a photosphere texture? Can you step by step, how to post photosphere on the blogger? I try to copy the js folder and html. but I couldn't make iframe to show the photo. where should I host the js and photo and html? Is there any way to replace orbit controls with trackball controls? This will allow pinch to zoom. I'm trying to build a panoramic virtual tour and need to be able to create clickable areas within a panorama which would take me to a hyperlink. Could you please tell me what is a good way to getting around that? I'm guessing we'd use Rays and would need to create a plane for marking the selectable area and connect the plane transform to the sphere transform. But I'm really new to Threejs and would really appreciate your help. Hey Karan, just use threejs plane or objects as "links" (threejs objects can have click events on them! ).